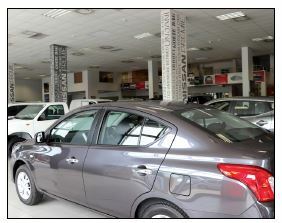 CMH Nissan Durban, forms part of a large network of Combined Motor Holdings motor retailers. Nissan has a strong presence in South Africa and continues to be a favourite vehicle choice for South Africans. Established 47 years ago, this dealership has a long history in the centre of town as a family owned and built business. Of note, children who used to play on the showroom floor, with a passion for cars, are now proud staff members. CMH Nissan Durban is Nissan South Africa largest dealer in SA and is by far KwaZulu-Natal's largest Nissan dealer and one of Durban's premier car dealerships, not only offering New and Used car sales but also one of the biggest Service and Parts departments in KZN. Ideally situated in the centre of Durban, taking up 6600 square meters and going from one side of the block in 115 Monty Naicker Road (New Nissan Car Showroom) to the other side at 192 Dr Pixley Kaseme Street (used car show room), the state of the art dealership was recently refurbished with an investment of a R156 million into the Durban City Centre. Dealer Principal Stuart Singleton says, "Retaining our presence in Durban's CBD was very important to us - we are now the largest Nissan dealer in KwaZulu-Natal and apart from requiring additional parking facilities, the refurbishment includes the very best in showroom facilities as well as ultramodern vehicle maintenance and service facilities." As part of its commitment to the environment, the entire dealership has been fitted with green building technology, incorporating low energy lighting and the offices have all been installed with sensors to automatically switch lights off and only back on when someone enters the office. CMH Nissan Durban services a large number of fleet customers and offers a personalised and high-quality sales and maintenance service. CMH Dealer of the Year 2014 award. 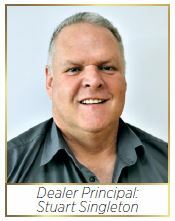 He has recently been recognised as the 2017 CMH Dealer Principal of the year, and he says being acknowledged once more for his efforts has been an unbelievable experience. together and draw upon one another's experience to bring out the best in their services. "It is about bringing out the best in my staff and being fortunate enough to be able to do that," he said. CMH Nissan Durban offers the full range of cars from the Datsun GO to the Patrol. This month, the dealership will launch the All-New Nissan Micra which is a new car that would attract new customers to the dealership. CMH Nissan Durban is your one-stop shop when it comes to car service. The workshop facility is constantly ranked above national average in terms of customer satisfaction. All mechanics are Nissan trained and genuine Nissan parts are only used to protect your asset. To ensure convenience to customers, Saturday services are offered. There is an express bay and a shuttle service to nearby offices and malls. Free wi-fi is available in the waiting area as well as DSTV and coffee/tea. Specialised fleet services are available. The CMH Nissan Durban Parts department uses genuine Nissan parts in your Nissan vehicle. Nissan parts range from consumables like engine oil, brake fluid, bulbs and engine coolant to air filters, spark plugs and brake pads. Nissan Genuine Parts are manufactured to the stringent specifications that extend the life of your Nissan and ensure it is running at its optimum. Each vehicle comes with a range of Nissan accessories that help customise your vehicle to your specifications. CMH Nissan Durban have everything from floor mats to roof racks. By choosing to purchase your new vehicle through CMH and allowing CMH Nissan Finance to organise the repayments through CMH Nissan Finance, a division of Wesbank or ABSA, all the paperwork can be done for you at the dealership. This service offering will make things simpler and eliminate any delay that might occur with an outsider financier. CMH Nissan Durban recently supported the Ride for MRP Foundation by sponsoring an All-New Micra Active. Funds raised will be channelled into the youth development organisation's education and skills development programmes that empower even more of South Africa's youth to unlock their full potential. Services / Products: Retail of new Nissan motor vehicles, Pre-owned cars, Service and Parts. CMH Nissan Durban - THE NISSAN NP200 1.6 SPECIAL, GET YOURS TODAY!